Back when my eldest son was born, I had a list of things to do to prepare for labor and delivery and then caring for him as a newborn, but knew virtually nothing about how to prepare for life after my baby was here. I didn’t even think about postpartum symptoms beyond the soreness of giving birth. But, here’s the thing: Our bodies go through a lot after childbirth, way beyond the physical discomfort down there, and during those first weeks of recovering at home and nursing a newborn, there are certain supplies that can help the tough stuff go more smoothly. Now that I’ve given birth to three boys, I can honestly say that I’ve probably experienced all of the postpartum symptoms I’ve read about (and maybe some additional ones, too!). 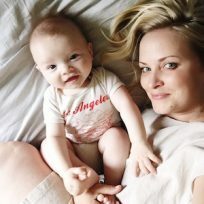 So, I’ve had plenty of opportunities to test the many products sold to help moms recover from childbirth, as well as adjust to life with a newborn. Here are the postpartum essentials I’ve relied on. Is there anything that you’d add to my list?